A title is frequently the largest text by size in a scene and has a few words. A subtitle clarifies or provides context to a title. 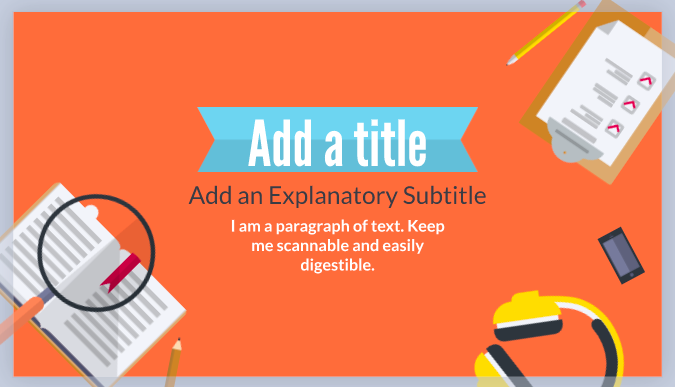 A body is a line or paragraph of text - keep a body of text scannable and easily digestible.